Jeanette Charles is the international solidarity liaison with Venezuelanalysis. In May 2018, she organized a delegation with Venezuelanalysis and The Intrepid News Fund to observe the presidential elections. During their trip, journalists, activists, lawyers and other participants met with representatives from community based organizations, revolutionary collectives and Bolivarian government officials as well as interacting with people on the street from taxi drivers, street vendors and students. In order to provide a more balanced and deeper understanding of Venezuela’s reality that corporate mainstream media fails to cover, we interviewed her to hear her thoughts and observations from Venezuela’s migration, currency revaluation, the assassination attempt, and the presidential election. The interview is set in two parts. Dae-Han (DH): Recently, the international media and consequently the Korean media (even its progressive elements such as JTBC news) have reported on migration from Venezuela as resulting from a humanitarian crisis. Who is leaving? Who is staying? What is the cause? How should we understand it? Jeanette (JC): Internationally, the world is bombarded with the narrative of a Venezuelan “refugee crisis” fiercely promoted by the United States and right wing governments in the region (e.g. Colombia, Ecuador Peru). In recent weeks, Ecuador called for a summit to address this “migratory chaos” and the US confirmed plans to send a navy ship, ostensibly to deliver medical supplies to Colombia for “Venezuelan refugees.” US actions have been condemned in Venezuela by government authorities as “another aggression on our country and Latin America.” This misleading media portrayal must be understood in its full political and social complexity rather than as sensationalized headlines that feed the dangerous and racist discourse preluding US intervention. Corporate media and international political powers have invested in painting Venezuela as an ungovernable and backwards country, absent of political leadership where droves flee political persecution, ultimately, to justify intervention and dissuade other countries from pursuing alternatives to capitalism. The discourse on Venezuelan migration, especially since 2014, warrants serious study on media representations, their motivations and questioning the accuracy of their reporting. Furthermore, the increase in xenophobic attacks against Venezuelans abroad is under-examined and similarly evokes racist and misogynistic sentiments. Sures, a Venezuelan independent human rights organization, explains the heterogeneous reality of Venezuelan migration: Absent from the sensationalist headlines is a more grounded and nuanced examination that acknowledges the many migrants that are dual nationality citizens or descendants from other countries in the region and are returning home or at other times are leaving, saving money, and coming back to Venezuela. These fluctuating migration patterns are reflected in the widely varying estimates of Venezuelan migrants from 1.6 million (5%) by the Organization for Migration to over 650 thousand (2%) by the United Nations in a nation of nearly 32 million people -- this is hardly the “migratory crisis” international media depicts. Challenging the notion of a Venezuelan refugee crisis does not deny the daily challenges of an economic war and some families’ response to migrate. Fundamentally, the international media debate regarding Venezuelan migratory tendencies does not capture Venezuela’s historical, economic or political contexts. More importantly, the international corporate media and even progressive forces completely ignore and wholeheartedly dismiss the tens of millions of Venezuelans who stay. Many are determined to defend and push their revolutionary process forward. I’ve met them in the streets, communes, and organizations. They know their historical potential, especially at the grassroots level, and constantly seek ways to reach their greatest heights alongside initiatives by the Bolivarian government to overcome present-day obstacles. While the situation is complex, the international corporate media does not provide accurate nor historically grounded reporting. Venezuela’s revolutionary process is very much alive. As Venezuelans strive to achieve 21st Century Socialism, we, committed to solidarity, must sharpen our analysis and ground ourselves in that Venezuela still remains at the forefront of a global vision for justice, liberation and building another world. DH: At times, the media faults he Maduro Administration’s recent economic measures for worsening the economy. Though it may be too early to determine the efficacy of such policy, what was its rationale and what would it take for it to succeed? JC: On August 20th, the government launched a series of economic measures to resolve inflation and speculation including a new currency, the Sovereign Bolívar, tied to the Petro Moneda, a cryptocurrency rooted in Venezuelan oil production and mineral reserves. The government has increased salaries nearly 30 fold for public sector workers and is subsidizing private sector workers’ salaries for the next few months as private companies transition to the new levels. 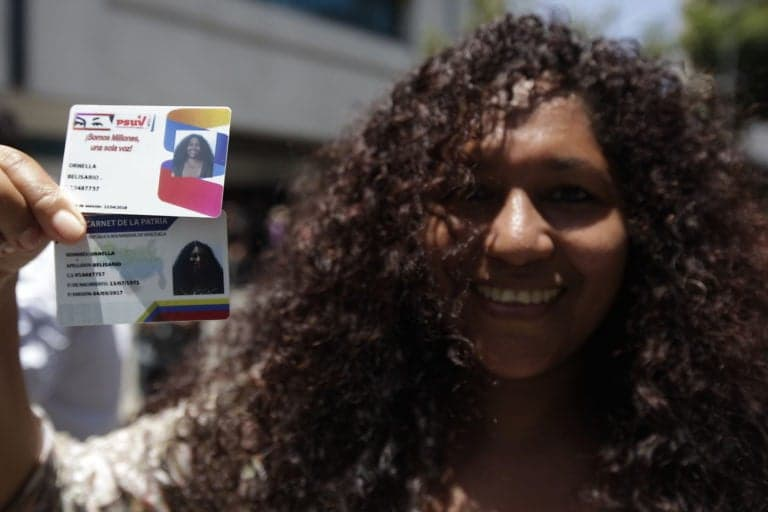 In addition, Venezuelans will receive economic bonuses to their electronic accounts [the Carnet de la Patria (homeland card). These bonuses allocate financial resources for Venezuelans across the socio-economic spectrum from families in accordance to their size to youth as well as expectant parents. The state also negotiated with the private sector to re-adjust prices for 25 basic food items to tackle price speculation across the country. These new measures rely on the government and civil society to fight the illegal dollar exchange market and price gouging. We will be able to evaluate whether these measures succeed based on economic improvements over time and whether the re-established currency will earn people’s trust. The new Sovereign Bolivar not only revalues the national currency, but also challenges the highly speculative and destructive illegal dollar exchange markets. In an effort to relinquish the US dollar of its power over the Bolivar, the Venezuelan government will authorize open currency exchange houses effectively allowing a controlled rate for the dollar. Everyday additional facets of these economic measures are announced in Venezuela. As Venezuela makes this economic transition, other countries peer into the possibility of a world independent of the US dollar where a nation of people and their resources determine the own economic conditions. While Maduro is establishing sustainable conditions for Venezuela to viably transition into a 21st Century Socialist economy, he is also engaging the private sector since Venezuela lacks the infrastructure to respond to basic material needs on a national scale. Thus, to a certain extent, the government must cooperate with the private sector to import and sell necessities such as pharmaceutical medicines and food. Even with these promising measures, it’s important to note that grassroots movements which support Maduro still demand greater institutional support for local and regional initiatives centered on the communes as well as in domestic agricultural and industrial production. In twenty or fifty years, today and tomorrow’s decisions will hopefully bring Venezuela closer to the socialist society that leaders like Comandante Chávez and the comunerxs (communards) envision. However, much of the nation’s success is contingent on its ability (and of those in solidarity) to fight against US efforts to destabilize Venezuela as well as the region politically and economically. US sanctions play a critical role in Venezuela’s economy and have a direct impact on conditions. US sanctions prevent Venezuela from refinancing its debt and block key imports. They also intentionally affect the lives of Venezuelans by limiting their access to material goods which naturally provoke visceral psychological and emotional distress meant to destabilize people’s commitment to the Bolivarian Process. An emergent international anti-sanctions campaign in Canada and the United States comprised of anti-war activists, labor unions and human rights organizations among others is dedicated to countering and reversing these illegal economic policies and denouncing these foreign government actions as a prelude to warfare.